Reach for an Overcome distressed oversized cardigan and blue ripped jeans for a weekend-friendly look. Bump up the cool of your look by completing it with brown leather loafers. An Overcome distressed oversized cardigan and blue dress pants will showcase your sartorial self. Make your outfit more fun by completing it with olive leather derby shoes. 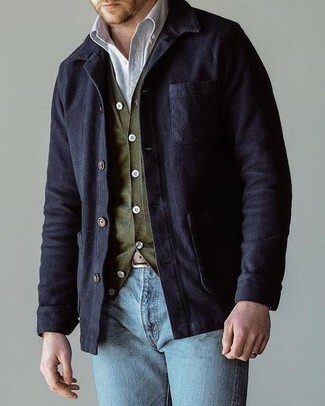 If you're on the lookout for a casual yet seriously stylish getup, pair an Overcome distressed oversized cardigan with navy chinos. Both pieces are totally comfortable and will look great together. Round off this outfit with brown suede desert boots. 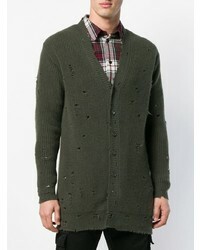 Make an Overcome distressed oversized cardigan and brown check dress pants your outfit choice like a true gent. 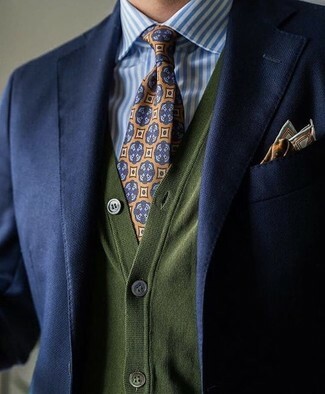 This combination of an olive cardigan and a navy blazer is super easy to make up without a second thought, helping you look seriously stylish and ready for anything without spending a ton of time rummaging through your closet. 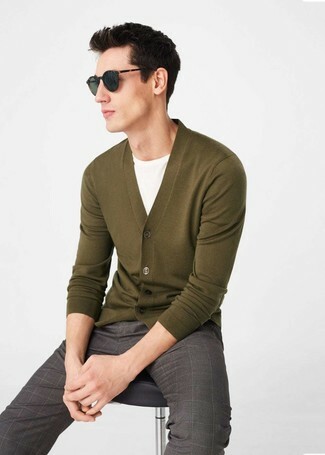 Pair an olive cardigan with grey wool dress pants for a sharp classy look. 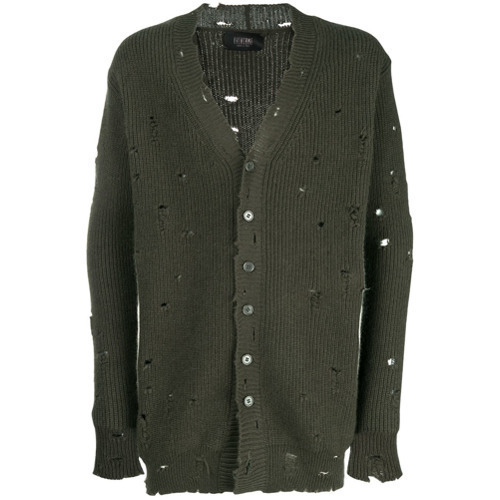 If you're hunting for a casual yet on-trend ensemble, go for an olive cardigan and navy jeans. Both pieces are totally comfortable and will look great paired together. You could perhaps get a little creative in the footwear department and dress up your getup with black leather casual boots. 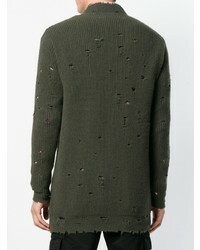 If you're after a casual yet stylish look, dress in an Overcome distressed oversized cardigan from farfetch.com and light blue jeans. Both pieces are totally comfortable and will look great together. 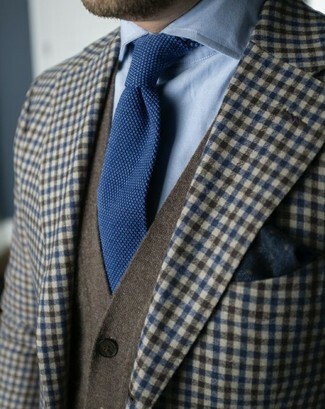 This pairing of an Overcome distressed oversized cardigan and a brown gingham wool blazer is very easy to throw together without a second thought, helping you look awesome and ready for anything without spending too much time searching through your arsenal.